Whiplash - Are You Covered? Americans are addicted to their automobiles. Nowhere else in the world do privately owned cars enjoy such an integrated connection to our everyday lives. Because we spend so many hours driving and in traffic, there’s a high possibility that one day an unfortunate accident will occur. Even if you are the best and safest driver, this does little to keep someone else from hitting you. Most states require insurance as a condition for the privilege of using the public roads and highways. But how much insurance should one carry? What does it cost to repair a car today? And perhaps more importantly, what does it cost to get you back to work and healthy again after a whiplash-type of trauma? It may surprise you how much a ride in the ambulance or a short stay in the hospital will set you back. Although chiropractic care expenses are generally less than care provided at hospitals or by surgeons, the costs can add up quickly, especially if you’ve suffered significant injury to your ligaments, disks, and nerves. That’s why it’s important that you have adequate coverage should the unexpected occur by periodically reviewing your insurance coverage to make sure it is keeping up with the times. You don’t want to be caught in a bind where your coverage does not meet your needs. In areas of insurance, med-pay, and underinsured/uninsured policies help to protect you when others are not adequately covered and help to offset the costs of your treatment. Your insurance agent can help you navigate the various policy options that will best protect you and your family. Most agents will consult with you at no charge, so take advantage of their expertise. And if you have suffered an injury, a doctor of chiropractic can properly assess the extent of spinal trauma and provide non-drug and non-surgical care for your pain. 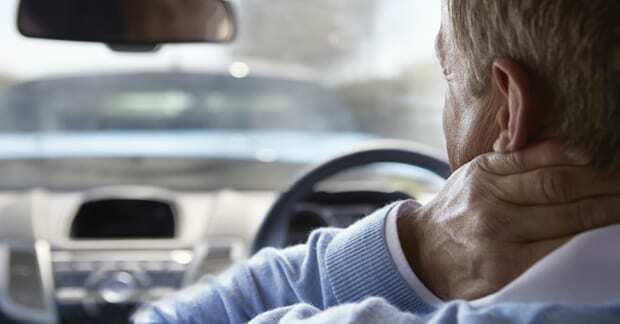 Most injuries from whiplash result in tears and sprain of the delicate ligaments that support the bones of the neck. Chiropractic doctors often specialize in the care of patients with spine and neck trauma.